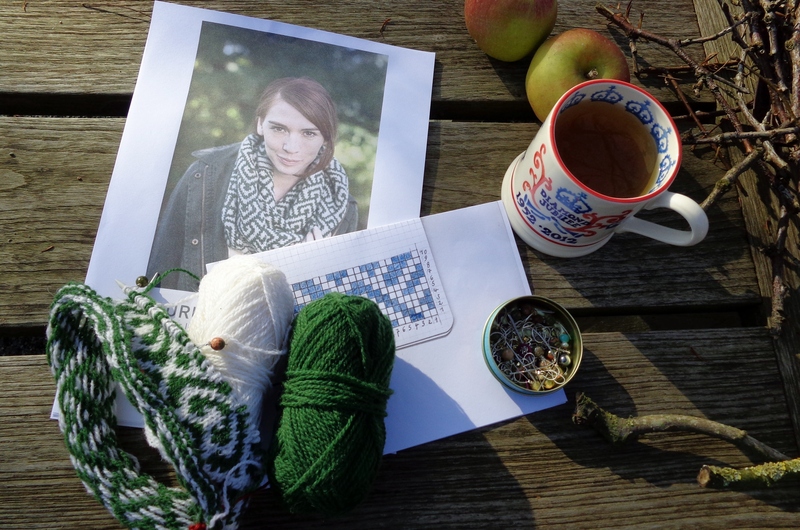 I ordered this lovely green 2 Ply Jumper Weight from Jamieson & Smith with no particular project in mind. But as soon as Andrea Rangel’s Maurits was released, a few days after its arrival, I knew instantly what I would be using the yarn for. Ten minutes later, I was casting on. 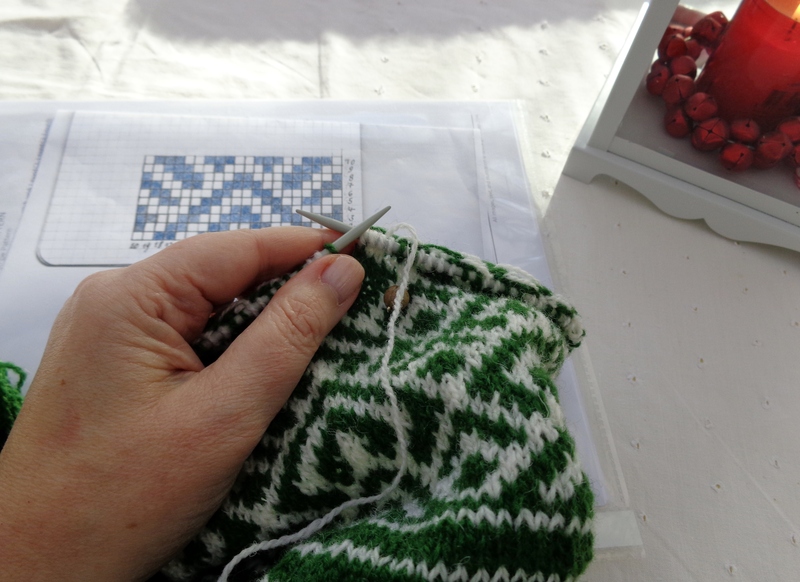 This is such a pleasurable knit and it is gratifying to watch the colourwork grow. If you haven’t tried stranded knitting before, this would be the perfect project to get started with. As it is basically a long tube, without any shaping whatsoever, it allows you to concentrate wholly on the colourwork. When the desired length is obtained, both ends are grafted together. Et voilà. The only modification I made was to invert the colours and make the green the dominant colour. On 3.5 mm needles, my gauge is slightly smaller than the pattern suggests, but the cowl should still end up wide enough to be cosy and snug. 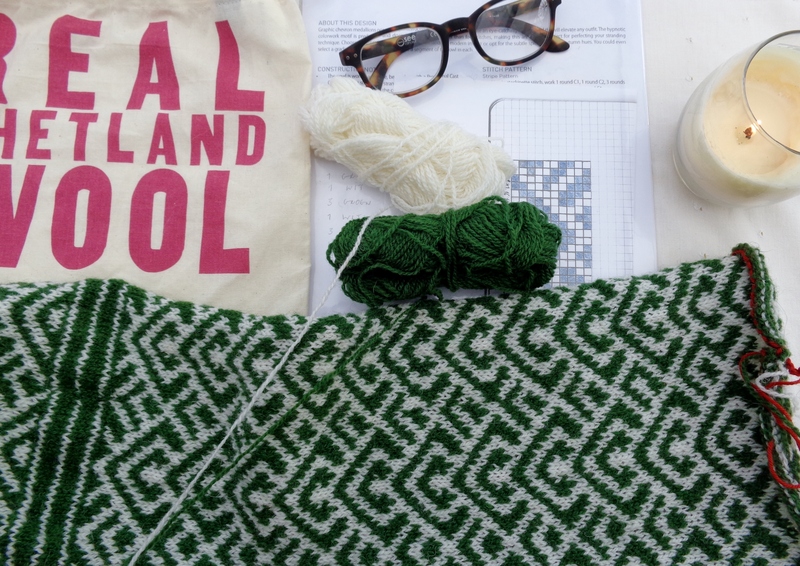 Andrea’s design is part of the Brooklyn Tweed Woolpeople 8 collection and as always, there are many lovely designs to choose from. I have been looking for a winter cardigan to knit for myself. Preferably an A-line, to be worn over dresses. I am torn between Cedarwood (by Alicia Plummer) and Keel (Bristol Ivy). Yarn has been ordered for the first one, but I know myself well enough to know that I will more than probably end up knitting both of them.